Green People Organic Pressed Powder - Honey Light is a foundation and finishing powder for light skin with pink tone. With added SPF 15 to protect sun sensitive skin. Smooth matte finish for a flawless complexion. Broad-spectrum SPF15 to protect sun-sensitive skin. Easy-glide application that allows the skin to breathe. Natural mineral powder minimises fine lines and wrinkles. This organic mineral make-up is suitable for sensitive skin and those prone to acne, eczema or psoriasis. 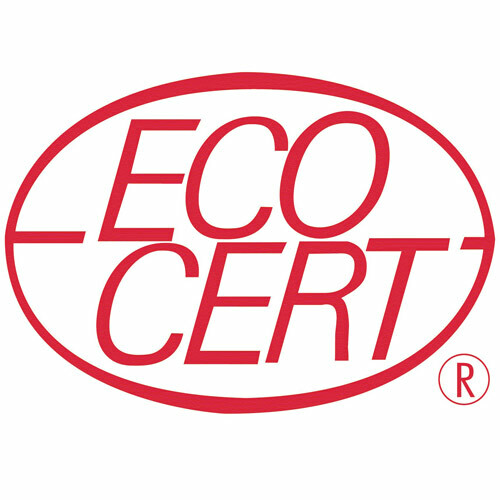 Products bearing the Ecocert certification must use ingredients derived from renewable resources, manufactured by environmentally friendly processes. This means there should be no use or inclusion of GMO, parabens, phenoxyethanol, nanoparticles, silicon, PEG, synthetic perfumes and dyes, animal-derived ingredients (unless naturally produced by them: milk, honey, etc.) The packaging should also be biodegradable or recyclable. Visit the Ecocert certification standards website here. Mica (natural mineral), zea mais starch*, octyldodecanol, caprylic/capric triglyceride, zinc oxide, zinc stearate, glyceryl caprylate, p-anisic acid, cinnamic acid, cera alba (bees wax)*. may contain: CI 77891, CI77491, CI77492, CI 77499 (mineral pigments). To achieve perfect coverage, apply powder with Kabuki Brush, Swirl brush once (for light coverage) or twice (for fuller coverage) around the pressed powder, tap off the excess. Apply the powder in downward strokes, moving inwards, starting with each cheek, the T-zone and lastly the nose and chin – reapply the powder for each area of the face. Vegetarian, not vegan due to beeswax content. 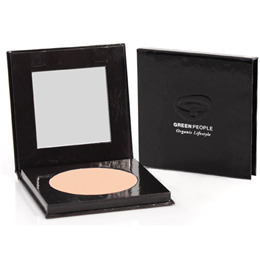 Below are reviews of Green People Organic Pressed Powder - Honey Light by bodykind customers. If you have tried this product we'd love to hear what you think so please leave a review.